Happy new year everyone. It’s 2014, doesn’t time fly. 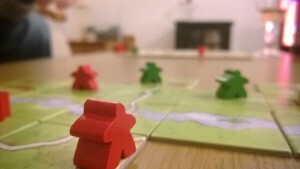 It’s January, which means only one thing – the great board game play through of 2014. – No new board games must be bought by either player before all games in the house are played. We just created the list – we have 59 board games in the house… this may be a long January!